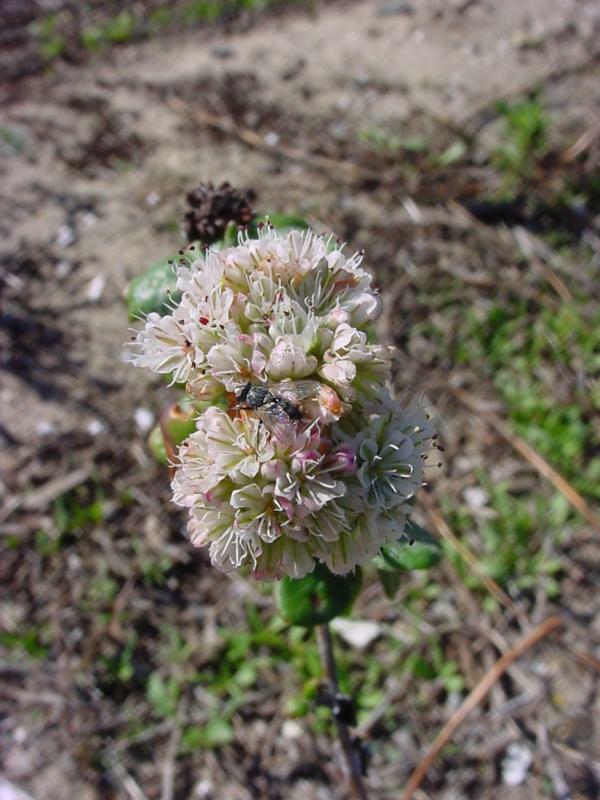 Sea-cliff buckwheat is another of the many buckwheat species we have in southern California. 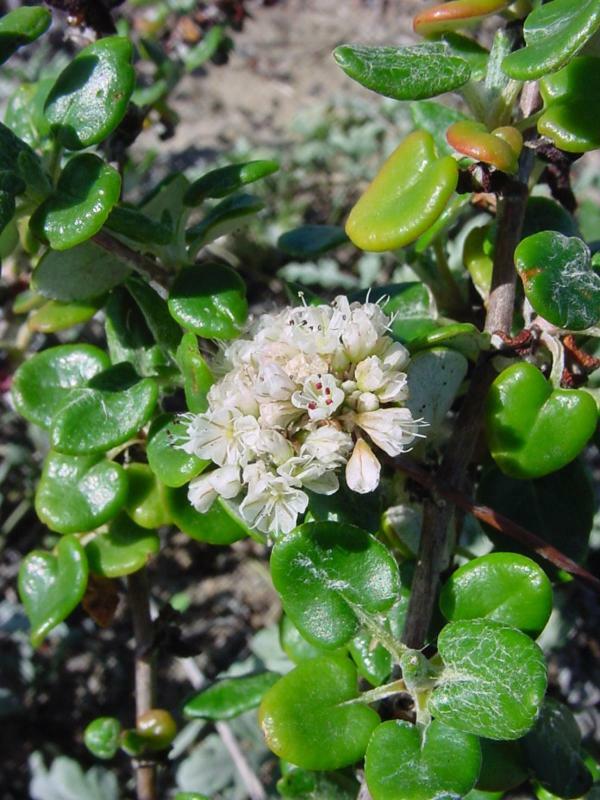 It has also been called dune eriogonum or dune buckwheat, although its name means "small-leaved," and it is a fairly low, spreading perennial shrub with loose, slender, prostrate to decumbent branches. The leaves are in fascicles, and are small, thickish, lanceolate to ± round, green-glabrous above and densely white-tomentose beneath, and somewhat revolute. The flowers are in cylindrical involucres forming ball-like clusters at the ends of 3/4" to 2" stems. The calyx is 6-lobed, pinkish-white to rose, with 9 stamens that are pilose at the base. The calyx segments are obovate and there are no petals. The fruit is a glabrous, ovoid-to-deltoid achene about 1/8" long. 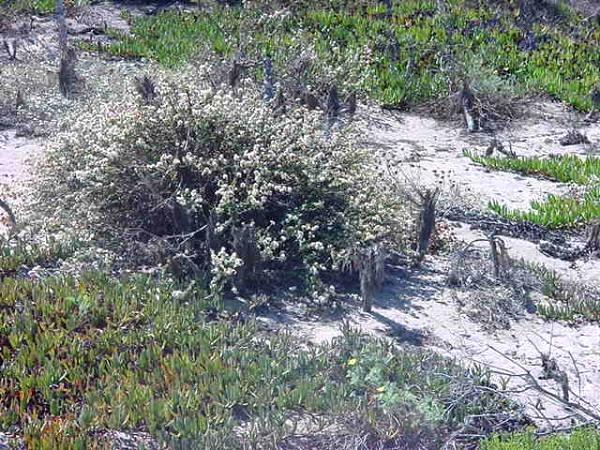 Sea-cliff buckwheat, as the name suggests, is typically found on dunes and bluffs near the beach in coastal strand and coastal sage scrub communities from San Diego Co. to Monterey Co. Like many other buckwheats, although its main blooming season is during the summer, some blooms may be observed at almost any time during the year. These pictures were taken at Bolsa Chica Beach and Point Dume. 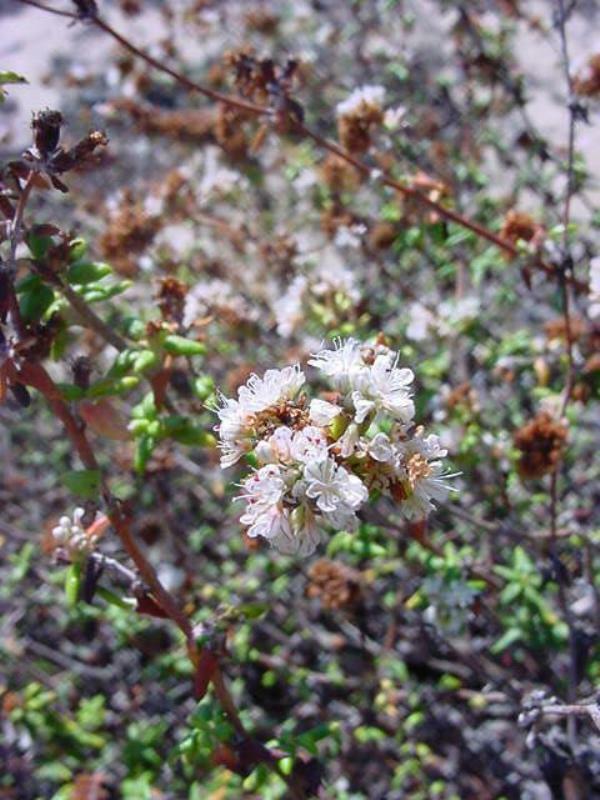 Click here for Latin name derivations: 1) Eriogonum 2) parvifolium.